Tonight found me on the road to Krakow airport, picking up some wonderful visitors for our Academy conference. It's a route I know well, and normally there aren't surprises. But tonight I noticed one police car.. and then another.. and then several at the toll booths.. and then there were multiple motorcades with many police cars and sirens. There were even police cars escorting coaches along the motorway. It had been in the news all day, the specialness of today. But I'd forgotten just how close I live to it. Seventy years ago today Auschwitz concentration camp was liberated. It's about an hour from my home, and I visited it in March when my family was here. 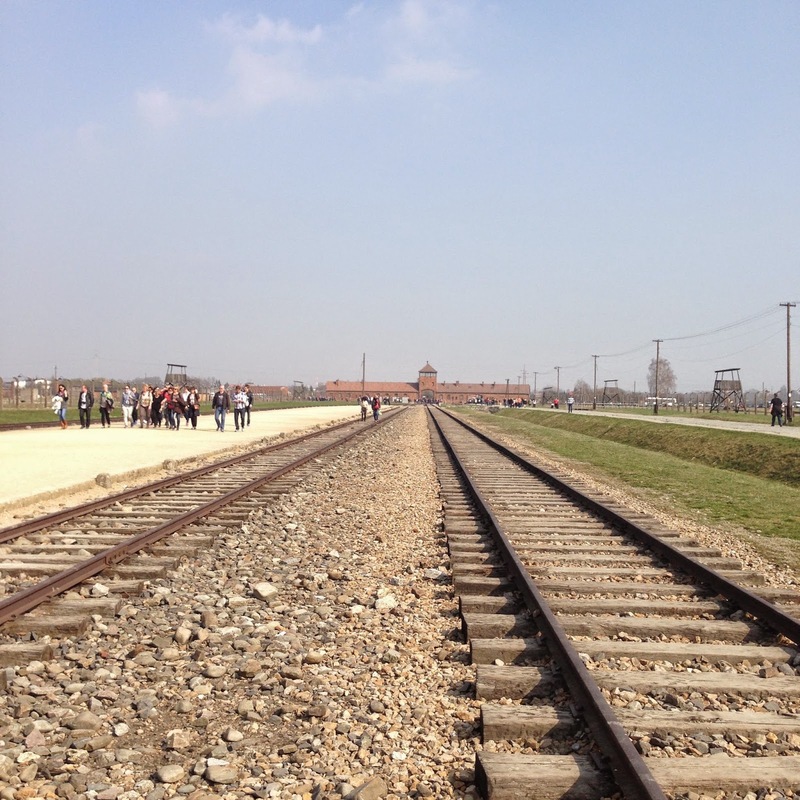 I am so, so thankful for the liberation that happened in that place seventy years ago. For the sacrifice and bravery of so many that made it possible. And I'm praying for another kind of liberation for this region. The infamous arch in Auschwitz declares "Work makes you free". I'm thankful that it doesn't. But grace and truth? Yes. Yes, they do.